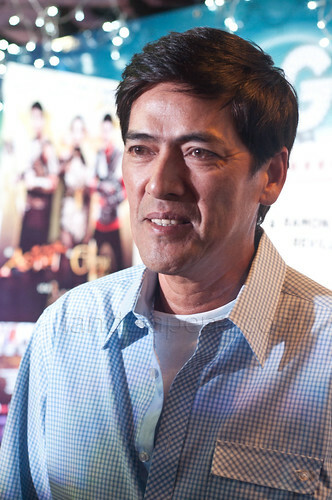 "Panata ko na ito " Vic Sotto explains to bloggers last December 17, 2012 at the Annabel's restaurant in Tomas Morato, Quezon city why he continues to make the Enteng Kabisote (EK) series. Vic wants to make every one happy at least even just for an hour or two this coming holidays. On this episode the EK team decided to add another character Angelina Kalikasan Orteza who calls here self A.K.O played by another box office queen, Ms. Judy Anne Santos. Asked why add another character bossing Vic explains that it is broaden the story more and the adventure that they'll be going through. 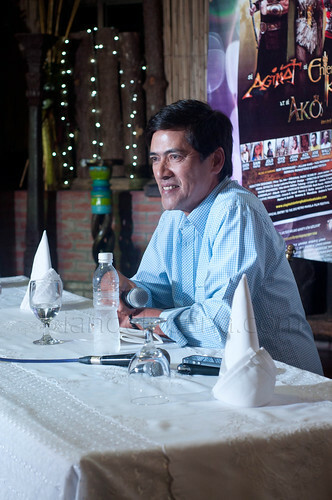 A.K.O is another encantada who is assigned to protect the environment Vic explains, to add up "Hindi naman natin matatawara ang box office appeal ni Judy Anne"
The movie also showcases the different beautiful places in the Philippines as they shoot in the beautiful region of Ilocos Norte. Vic said that they made sure that they give something visually new to their audience and have scouted beautiful places that has never been seen. Vic even encourages people to travel the Philippines saying "Maging turista muna tayo sa ating bansa" (Let's see our own country first). 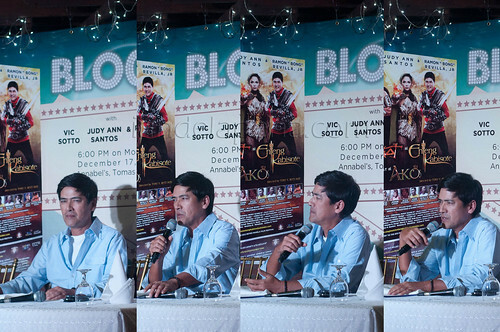 It was truly a fun night with Bossing Vic as he candidly address all questions that the bloggers have. This is what I can assure, anyone who will watch the movie will have a good time. All scenes were really thought about and planned with story boards to make it as fantastical as it can be. Vic is also proud that the sets for the movie are really world class as some though it cost them so much were only to be seen in one to two scenes only, that's how much they've pour effort in this movie. 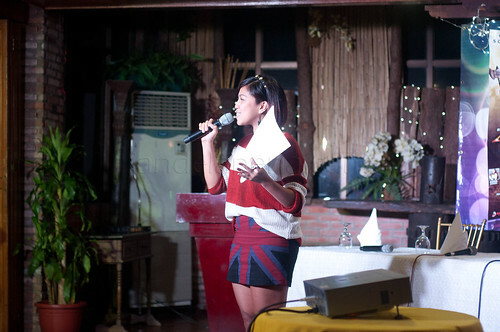 Also, Vic says that every one should also watch out for their float at the Metro Manila Film Festival (MMFF) because just like the sets they have also made sure that the float will stand out. When asked about the budget of the movie Vic said that he cannot disclose it but just to give us an idea he said that the float alone costs 1 Million pesos! I am sure that you wont be disappointed with this installation of the series that continues the story of how Enteng and Agimat had grown their friendship while combating the forces that destruct mother nature with A.K.O. Enteng Kabisote is an official entry to the 2012 Metro Manila Film Festival (MMFF) under Octoarts Films directed by Tony Y. Reyes.